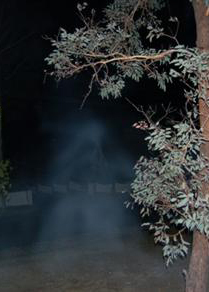 Psychic protection is the most important thing you can learn if you are planning to investigate paranormal activity. There are some people that would like you to believe that love and light can defeat anything but in reality that simply is not true. All paranormal investigators should learn to protect themselves against attack from the various entities that they may encounter during their investigations. I would just like to emphasise that protection is aided and enhanced by the ongoing process of cleansing and clearing your energy body and by developing your mental, emotional and spiritual integrity. Please note that one’s own fear of attack is usually far more harmful than an actual attack. The best form of protection when on an investigation is a psychic shield. When devising a shield it is important to note that you are using universal energy in its construct and not your own energy. The construct of a shield can be as simple as an energetic bubble to a very complicated shield with many energetic layers. The complexity of the shield needed would depend on what you are protecting yourself from. Some people are very firm in the belief that white energy is the purest and therefore the most powerful. Generally white and blue are the most commonly used colors for psychic protection, but this may not be the case for you; it is always best to listen to your instincts. If you feel an urge to use a different colour shield, then go with it. You can always experiment by changing your shield’s colours to see what works best. If you find one shade or tone to be more effective, then stick with it. Visualizing such a shield does take time and strong focus, and holding this image in your mind’s eye can be challenging. Since the appearance of this shield requires more effort, it should be empowered by your intent and will. Unusual patterns in shields can also aid you in psychic self-defense. Integrating a religious design or an occult symbol that represents protection can also add extra strength and power. I do not normally advocate wearing crystals during an investigation as entities can attach themselves to the crystal. If you decide to wear a crystal for protection always ensure that the crystal is cleared and fully energized and programmed for protection. You may want to change protective stones frequently to give them a rest. Some stones repel or dissolve negative energy, others absorb and or neutralize it, but whichever type you use they should all be cleared and recharged on a regular basis. Shamans and indigenous cultures have long been familiar with the concept of using guides and higher beings for protection. Power animals and totem animals are also guardian spirits who empower and protect us. To be effective in providing guidance and protection, they all require a unique and highly personal relationship with the individual. When experiencing a psychic attack you can call on your guides to protect you. For your guides to be effective in assisting you, a high level of trust and familiarity needs to be established over time. Amulets are used for protection. They can serve to defend against demonic, or negative, forces. Amulets may be used to overcome hostile powers of any kind. The word amulet is derived from the old Latin word “amoletum”, which is literally defined as “means of defense”. In the making of Amulets we use many different forms of symbolic “magic”. The Amulets can be as simple or as complex as you want to make them and can be worn around the neck, or carried in a bag or your pocket. The benefit you receive from your Amulet will be directly related to the effort and personal energy you put into it. A sigil can be used in conjunction with your amulet and is usually an original artistic creation, produced by conceiving a sentence or words that expresses a magical intent, and converting that sentence into a pictorial representation. The point is to obtain an image that can carry the intent past the psychic censor and into the subconscious mind, where it becomes magically effective. Spells and similar work, such as the use of talismans and amulets, is primarily a means of assisting us in focusing our affirmations and intentions and in harmonizing with the natural rhythm of the Universe. A vast number of herbs, colours and other tools and correspondences can be used for protective work. However, the clarity of your focus is far more important than any tool or device you choose to work with. 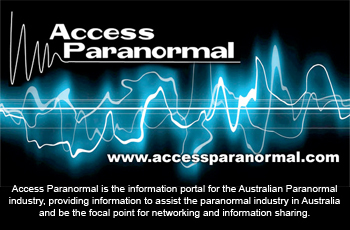 Paranormal investigations can be an exciting experience, however, every time you conduct an investigation you are venturing into unknown territory so practicing psychic protection is an important precaution that all investigators should be undertaking. Good shielding techniques should be one of the first few essential lessons for those seeking to learn how to sense energy and use their own personal energies and the energies present in the world around them. Most good shielding requires the person to have some aptitude and knowledge of visualization techniques. Psychic protection acts as an energy or barrier that wraps completely around you. The purpose of this energy is ultimately to block out all intrusive or malicious vibrations that come from unexpected and unknown sources. Bubble Shields are easy to make and can hold up against minor annoyances. Bubble Shields are also useful against humans who subconsciously leach energy from others. You can create this shield through a simple visualisation of seeing a bubble materialize before you and then simply step into the bubble. You can also create a shell, similar to a shape of an egg, building it from the ground to up, around your body, and finally meeting up over your head. Eggshells and bubbles are typical visualizations to block unwanted low-level attacks. The Marshmallow Shield is a thick, sticky type of shield. Its primary purpose is to absorb attacks and hold them for later disposal. It can be programmed to de-patternize the simple attack or just spit it back out. When you are visualizing this shield, you want to picture a thick wall of goo, if you construct it in layers you will want to make sure the layers melt into each other completely. This shield can take a while to make, but it is not meant to be used as the only line of defense. Combine it with other defensive shields to provide better protection. As you become more comfortable and skilled in protecting yourself, there will be times when you may want to shield another person or loved one. You can extend the protection skills you have honed for yourself to help others as long as it is their free choice and will to accept your protection. Visualize a dot of pure blue light, increase this light’s intensity until it burns very bright. Take this dot and trace out a square twice as big as the person you are going to shield. When you trace the outline of the blanket, its lines should stay visible in your mind’s eye. Once the outline is complete, begin to pour universal protective energy into the square shape. While you are filling the square with energy, be sure to program the protective powers you want to be inherent within. Think of the specific circumstance that they are seeking protection from and instill this energy with the power to resist and repel it. Hold this image in your minds eye for a good minute before letting it go. Keep in mind without being connected to any replenishing energy source, this shield is not going to last as long unless you program a period for the energy to last. 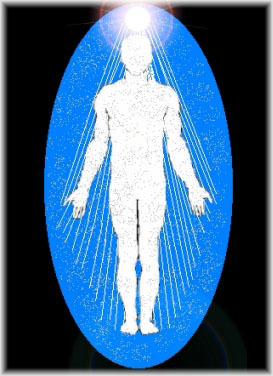 The psychic shield can be varied to suit your own personal experiences, depending on the type of visualization techniques that you use. Please note that energy for these shields can be drawn from different sources, including the earth itself. Proper shielding techniques should be one of the cornerstones of any magical or psychic training. The techniques are so simple almost any beginner can perform them and are they can be easily mastered with a little practice. Please don’t be afraid to experiment with the techniques until you find one that works well for you.